Summer is coming , weather is more and more hot . 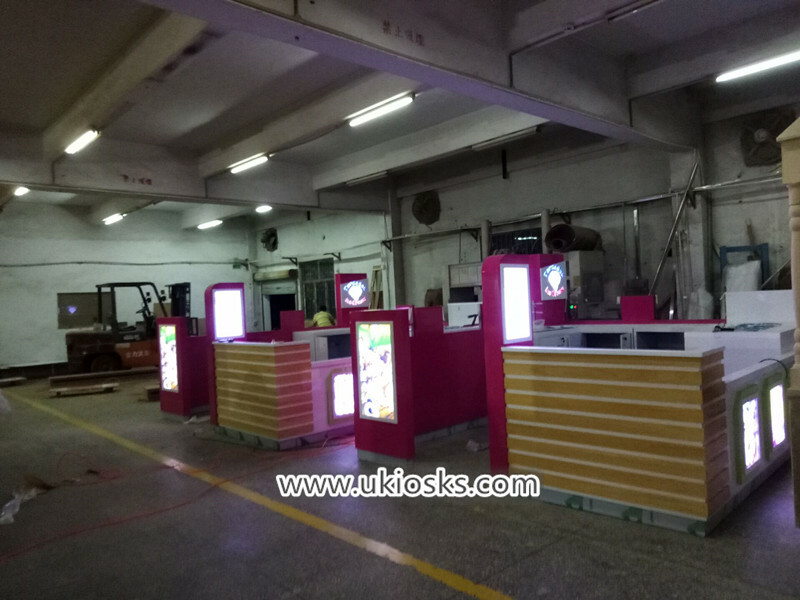 People’s demand for beverages and cold drinks has increased dramatically , so that , some business start open own food kiosk in mall, such as juice bar, ice cream shop , frozen yogurt shop , milkshakes kiosk . 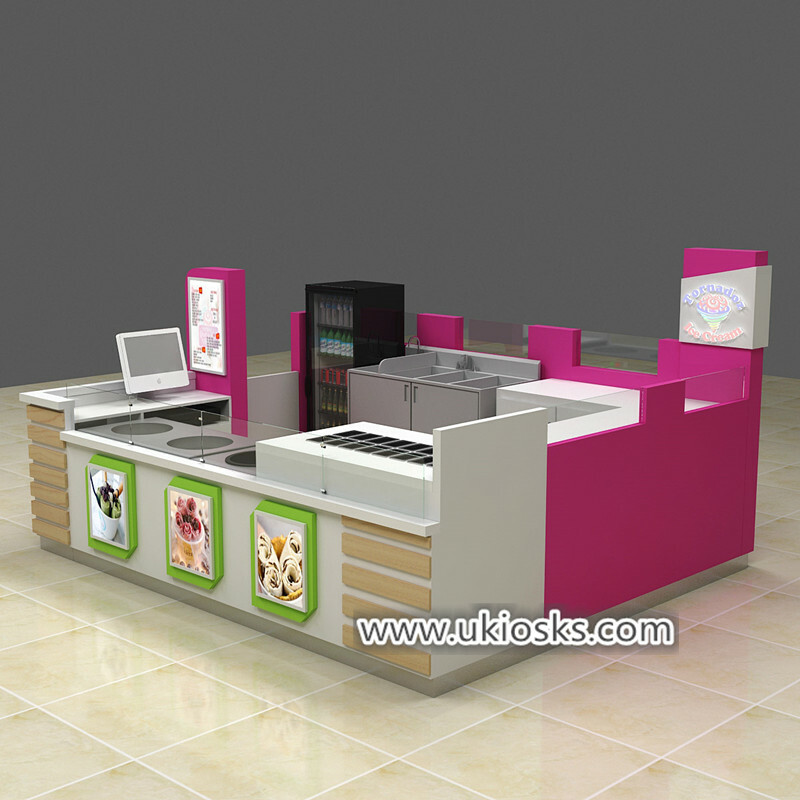 popsicle counter etc , today i want introduce a popular mall food kiosk for your meet . 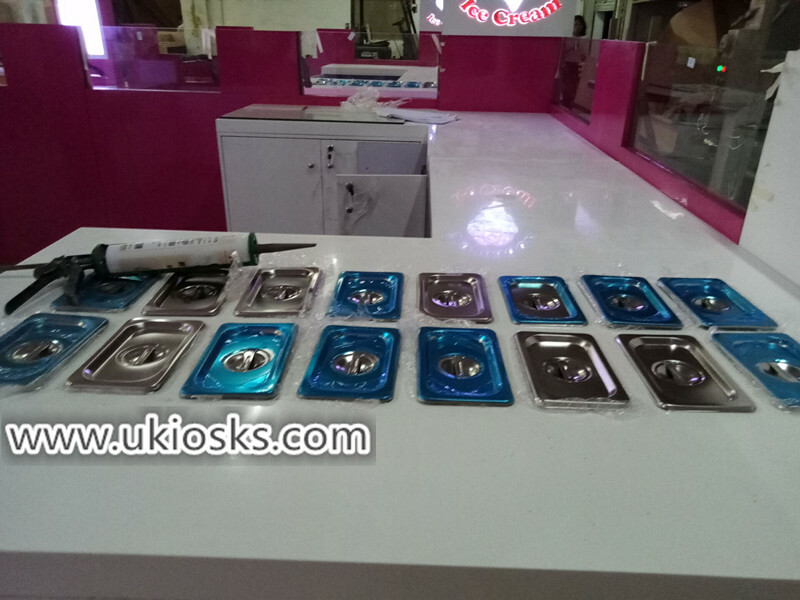 As you see the front part of this fried ice cream kiosk, have three fried ice cream machine , a topping area with tempered glass cover , back sides with drink fridge and stainless steel sink . left sides with a small cashiner counter . right sides with some wooden counter , inside with wooden cabiner for storage . 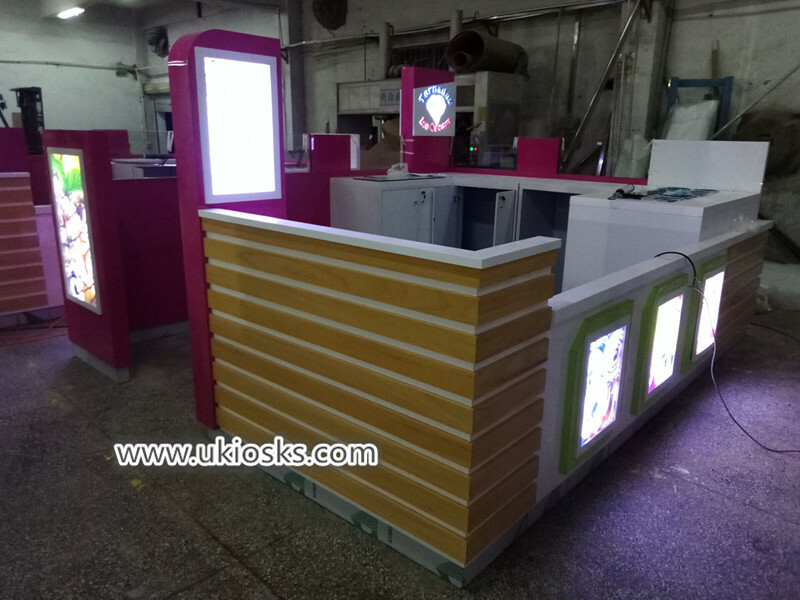 3.how to start a food kiosk ? step 1 : you need find a good location in mall . Select a location for your fried ice cream kiosk. The right location allows you to make multiple sales each day, reduces competition with other kiosks offering fried ice cream and is affordable. Visit local malls, parks and other retail business locations to find a location with heavy foot traffic and limited competition. Step 2 : find a direct manufacturer help you design and production . if you want get more customer and have a good selling in mall . 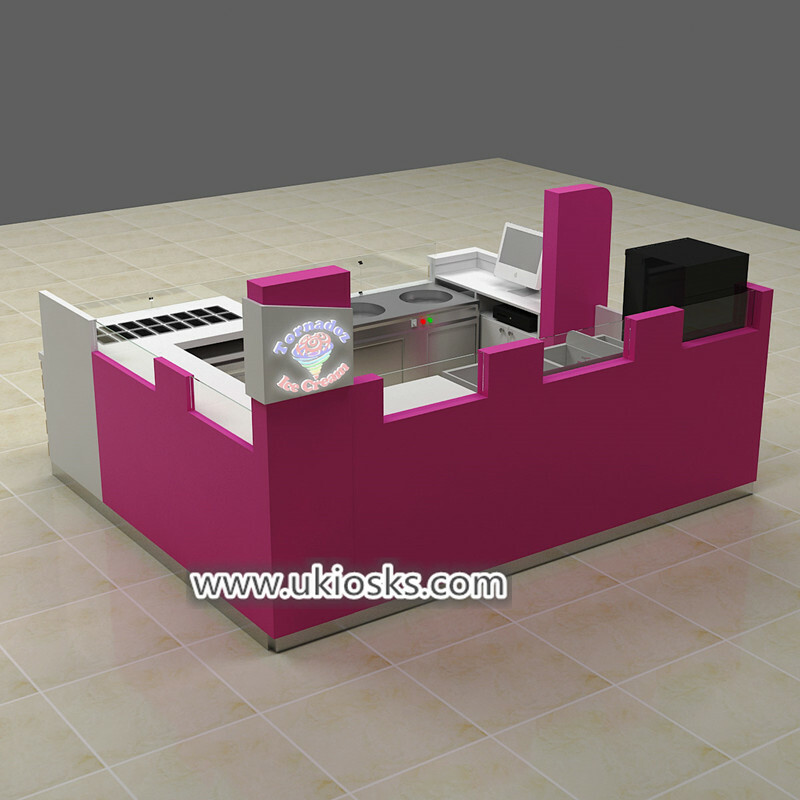 a good kiosk style is very important , it can help give your goods a good showings , also can help you Attract customer attention . 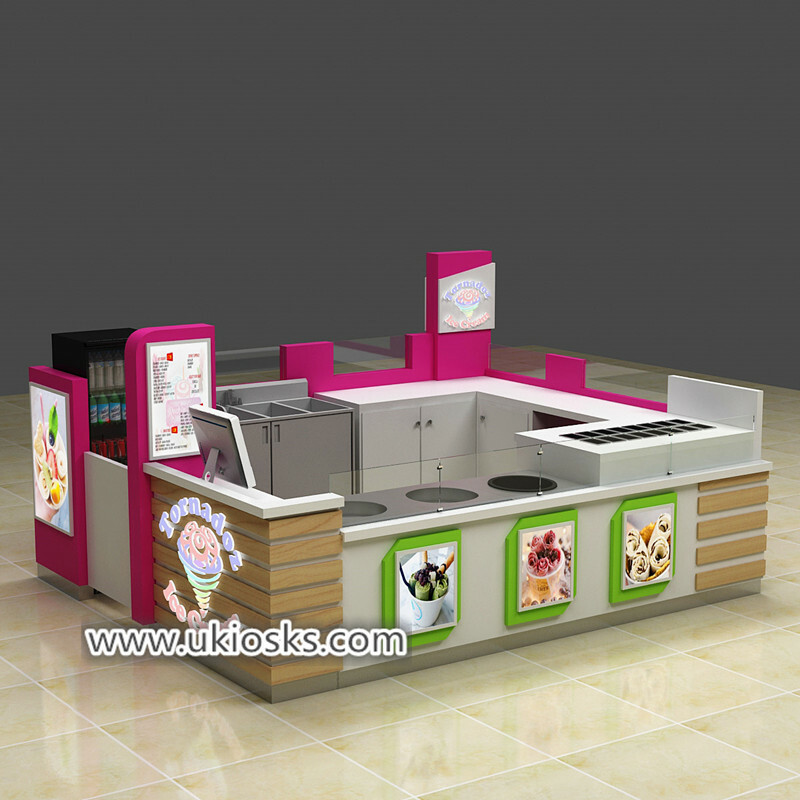 Thanks for your time and reading , if you need more further info about this fried ice cream kiosk , pls feel free to contact us , thanks u !